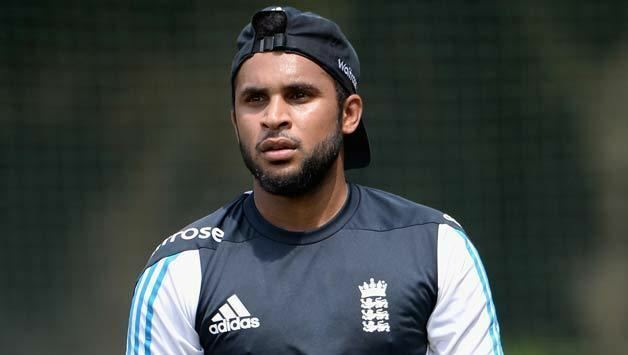 Adil Usman Rashid (born 17 February 1988) is an English cricketer who plays for Yorkshire and England as a leg spinner. Previously a player with England Under-19s, in December 2008, he was called into the full England Test squad, for the Test matches to be played in India. He was then selected for the full tour of the West Indies. He made his Test debut on 13 October 2015 against Pakistan in the UAE. As a leg spinner, Rashid received coaching from Terry Jenner as part of an ECB programme to encourage wrist-spinners. Rashid is only the third Yorkshire-born Asian to play first-team cricket for Yorkshire, and the first of Pakistani origin. In 2006, ECB bowling coach David Parsons considered him the most talented young leg-spinner in the country. Rashid was born in Bradford, West Yorkshire, and is of Pakistani background. Like his England teammate Moeen Ali, he belongs to the Mirpuri community, his family having migrated to England in 1967 from Kashmir. His brothers Haroon and Amar are also cricketers. Rashid showed promise from a young age: Jenner spotted him as a 14-year-old, and, in early July 2005, aged 17, he took 6–13 for Yorkshire's Academy (youth) team. A few days later he hit 111 for Yorkshire Cricket Board Under-17s against their Cheshire equivalents in the Under-17s County Championship. In 2006, he played a number of games for Yorkshire Second XI, making four successive centuries. This form, combined with a calf injury to Darren Lehmann, earned him the chance to make his first-class debut. Rashid made his debut against Warwickshire at North Marine Road, Scarborough, as a replacement for injured overseas batsman Darren Lehmann. He took 6–67 in the second innings. Rashid was called up by England Under-19s for the first Test against India Under-19s at Canterbury; he made 13 and 23 and took one wicket. In the second Test, at Taunton, he produced an excellent all-round display, scoring 114 and 48 and claiming 8–157 and 2–45. He also played in the third Test at the Denis Compton Oval in Shenley, but made less of an impression. From mid-August until the end of the season, he held down a regular spot in the Yorkshire side, and at Headingley scored 63 against Nottinghamshire and shared in a fourth-wicket stand of 130 with Craig White to dig Yorkshire out of a hole at 42/3. That winter, he suffered from a stress fracture in his back. However, he recovered well enough to be picked for the 2006–07 England A tour of Bangladesh, though his statistics in one first-class and one List A match were modest. He started 2007 at Lord's, turning out for MCC against the 2006 champion county, Sussex. Rashid's first County Championship game of the season, at The Oval against Surrey a few days later, saw him hit 86 in the first innings, putting on 190 with Jacques Rudolph for the sixth wicket. This established a new partnership record for that wicket for Yorkshire against Surrey, surpassing a mark that had stood since 1902. At the end of April, he took 5–88 against Durham at Headingley. 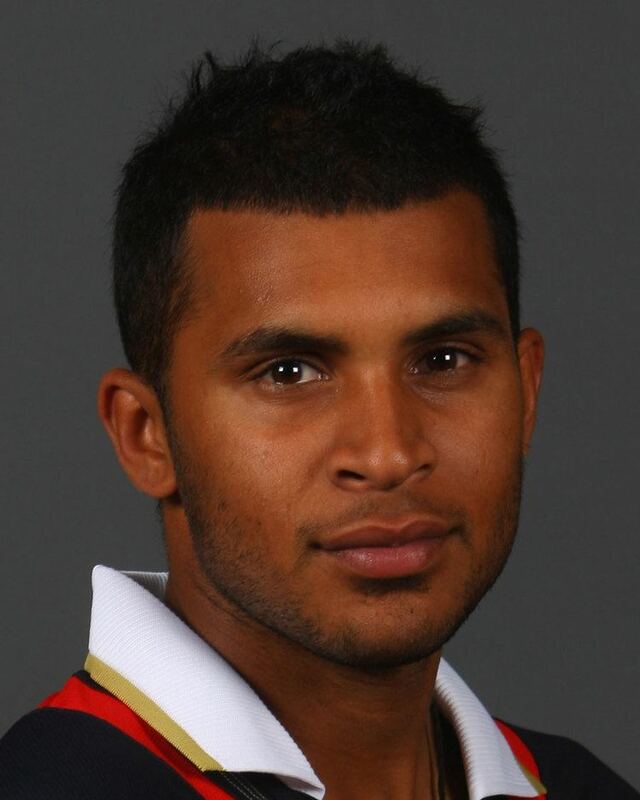 In June 2007 Rashid won both the YCCSA Young Player of the Year Award for 2006 and the Neil Lloyd Young Cricketer of the Year Award for 2006 and in July 2007 Rashid was called up to the England Lions side for a 4-day match against a touring Indian side. This would be a test for the young spinner as he had to bowl against the likes of Sachin Tendulkar, VVS Laxman, Wasim Jaffer, Mahendra Singh Dhoni and Sourav Ganguly. Rashid spoke to Sky Sports about the chance to bowl at Tendulkar and said it had long been his dream to bowl out the 'little master'. He also stated "I'm not daunted. It will be quite a good challenge for me, bowling against the likes of Tendulkar". On 16 August he scored his maiden first class century, 108 against Worcestershire at Kidderminster. On 9 September Rashid was named 2007 Cricket Writers' Club Young Cricketer of the Year, while on 24 September he was awarded the title of PCA Young Player of the Year. In the 2008 county season, Rashid took a career best 7–107 against Hampshire at the Rose Bowl. 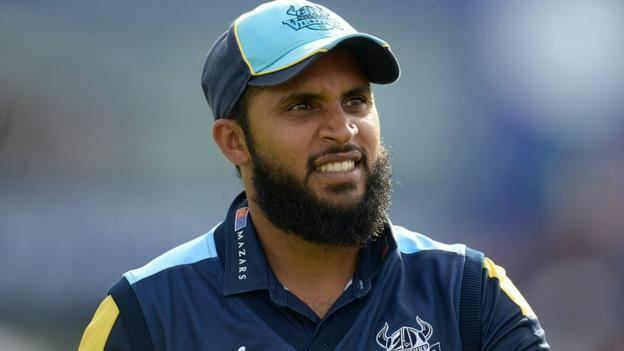 At the beginning of the summer, there was concern that Rashid's bowling was losing some of its variety as it seemed his batting was taking precedence, however his batting declined towards the end of the season and Rashid finished as Yorkshire's leading wicket-taker. He also finished as the country's leading spinner in terms of wickets taken. Rashid scored a career best 111 in the vital final game of the season against Sussex. In 2009 he scored his highest ever first-class score 117* and he later on helped Yorkshire to bowl Hampshire out with figures of 5–41. He then went on to better that against Lancashire scoring an unbeaten 157 and taking 5/97 in the first innings. The feat of scoring a century and taking a five-for in a match was the third of his career; the last player to have achieved the feat twice in a season for Yorkshire was George Hirst back in 1911. At the urging of coach Jason Gillespie, Rashid signed a deal to play for Adelaide Strikers in the Big Bash in 2015-16 after being left out of the England squad for the tour of South Africa. In October 2007, Rashid was named in the "England Performance Programme squad", "to train at home and in India" during winter 2007–08. In April 2008, he retained his place in the squad, and then once more for winter 2008–09. 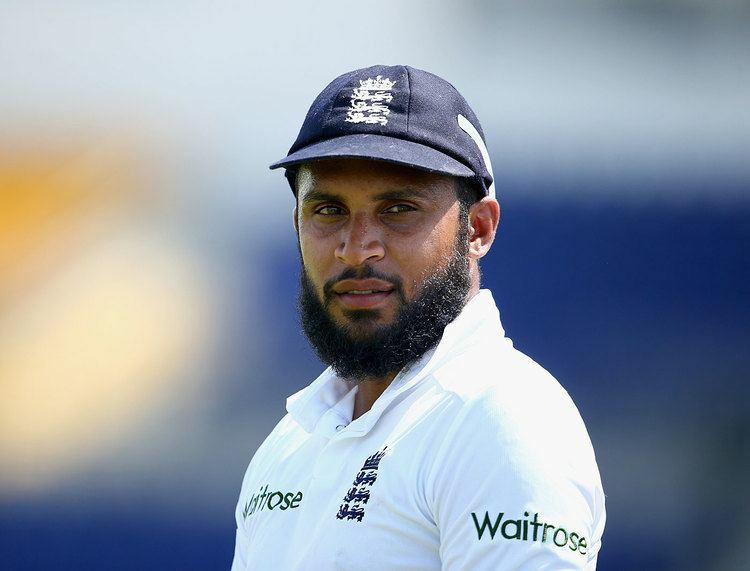 In December 2008, Rashid was called into the full England Test squad, for the Test matches to be played in India, followed, in December 2008, by a place in the squad to tour the West Indies. 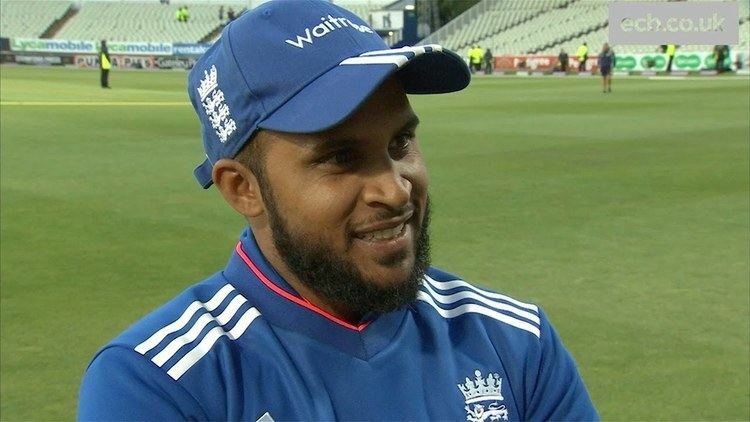 National selector Geoff Miller, described Rashid's selection at the age of 20 in the following terms: "Adil Rashid... is an exciting prospect for the future and his inclusion will enable us to continue to monitor his development closely as well as providing extra competition for places in the spin-bowling department.". Although he did not play any Tests on either tour, Rashid was part of the ODI and T20 squads to play the West Indies on the same tour. Rashid was selected in England's squad for the 2009 ICC World Twenty20, and played in four of England's five games in the tournament. He took 1–36 in the first game against the Netherlands as England suffered a surprise defeat. He took figures of 0–24 against Pakistan as England recorded their first win of the tournament. He took 1–24 against South Africa, but England again lost, this time by seven wickets. His final match in the tournament came against the West Indies, where he took 1–11 as England lost by 5 wickets. Rashid was not picked at all for the Ashes Tests. in his first ODI against Ireland, Rashid took figure of 1-11 as England secured a narrow win. He kept his place for the first ODI against Australia, and although he did not take a wicket he scored 31 with the bat. He was left out of the next two matches, but returned for the fourth game of the series and took figures of 1-56 as England lost by 7 wickets. He played in the next match, taking 1-55 as England again lost. Rashid played in the second ODI against South Africa, but failed to take a wicket and was expensive. He also played in the T20 game between the sides, finishing with figures of 0-25 as England suffered a heavy defeat. Rashid was called up to the England squad for the 2011 World Cup to replace Michael Yardy. However, Rashid do not play at the tournament. In March 2015, Rashid was named in the England Test squad for the tour of the West Indies, but did not feature. He was also named in the ODI series against New Zealand. In the first match, he became only the second English spinner since Graeme Hick to score a half-century and take four wickets. He also involved for the highest 7th wicket partnership of ODI history with Jos Buttler, where they scored 177 runs. In the second match he did not take a wicket but scored 34 with the bat. In the third game he finished with figures of 0-72 and score a duck as England lost by 3 wickets. In the fourth match he took figures of 1-75 as England won to level the series. In the final match of the series he took figures of 2-45 and scored an unbeaten 12 to help England win the match and the series 3-2. Rashid also played in the only T20 match between the sides and took figures of 1-33 as England won the match by 56 runs. He played in the only T20 against Australia, and although he did not pick up a wicket, England won by five runs. In the first ODI against Australia, Rashid finished with figures of 4-59 although England went on to lose the game. He took -44 in the next game but England again lost. In the third game he took 2-41 as England won their first game of the series by a margin of 93 runs. He did not take a wicket in the final two match of the series, although he did go on to score an unbeaten 35 in a losing effort in the final game. England went on to lose the series 3-2. 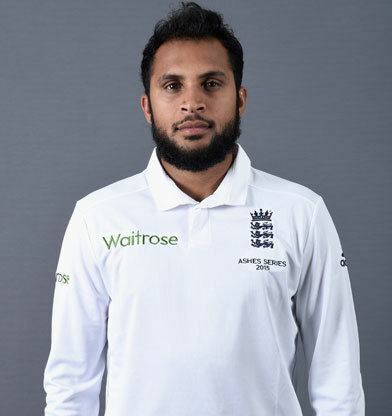 In October 2015, Rashid was selected in the England touring party to play Pakistan in the UAE making his debut in the 1st test at Sheikh Zayed Cricket Stadium. Rashid had a torrid time in the first innings of his first match in the Test side, finishing with figures of 0-163 as Pakistan posted 523. However, he enjoyed a remarkable turn around of fortunes in the next innings, finishing with figures of 5-64, a return that was nearly good enough for England to win the match, although it eventually finished in a draw. In the second Test he took 1-84 in Pakistan's first innings and 1-107 in their second as England lost the game by 178 runs, although Rashid made his maiden Test half-century in England's second innings, hitting 61. In the third and final Test Rashid did not take a wicket in Pakistan's first innings, and in the second innings he finished with 1-97 as England lost the match and the series 2-0. Following the Test series, Rashid played in the ODI series. He only took one wicket in the first three games, finishing with figures of 0-60 in the first game, which England lost. After taking 1-32 in the second match, he again finished wicketless in the third match of the series. He was expensive in the final match of the series, although he did pick up three wickets and England won the match and the series 3-1. He played in all three of the T20 matches. After not bowling or batting in the first game, he took figures of 2-18 in the second game as England secured a three run victory. He took 1-29 in the final game which went to a Super Over, with England winning the matches after the scores finished level. Rashid was not selected for the Test series against South Africa, although he did keep his place in the ODI side. After failing to take a wicket in the first game, he finished with figures of 1-43 in the second game which England won by five wickets. After taking 1-45 in the third game, he had his bets return of the series in the fourth match. After making 39 with the bat, he took figures of 2-38, although South Africa secured a one wicket victory. In the final match of the series he took figures of 1-59 as South Africa won the match by five wickets to win the series 3-2. England lost both T20 matches, although Rashid performed reasonably well, taking figures of 1-24 in the first game and 1-30 in the second game, although England lost by nine wickets. Rashid took figures of 1-20 in the opening game against the West Indies, although it wasn't enough to prevent a defeat. In the second game he icked up figures of 1-35 against South Africa, before taking his best figures of the tournament, 2-18 against Afghanistan. With England needing to beat Sri Lanka to qualify for the semi-finals, Rashid finished with figures of 0-31 as England won by ten runs. He did not pick up a wicket against New Zealand in the semi-final, but turned in a good performance in the final against West Indies, taking figures of 1-23. Despite his good performance, England suffered a narrow loss and finished as runners-up. Rashid did not pick up a wicket in the first ODI, although he did bowl economically as the match ended in a tie. He took 2-34 in the second match of the series, which England won by ten wickets. In the rain affected third match, he failed to pick up a wicket, and the match was eventually abandoned. In the fourth ODI he took 2-47 as England won by six wickets. He picked up another two wickets in the final game of the series as England completed a 3-0 series win after winning the match by 122 runs. Rashid played in the only T20I between the two sides, and bowled economically, conceding just 25 runs from his four overs, as England won by eight wickets. Rashid took figures of 2-51 in the first ODI against Pakistan, as England got off to a winning start. In the second ODI, he took figures of 1-51 as England restricted Pakistan to 251 and won the match by four wickets. In the third match of the series he took figures of 2-73 as England again won to go 3-0 up in the series. In the fourth match he took figures of 3-47 as England won by four wickets. Rashid was rested for the final match, which England lost. He took figures of 1-29 in the only T20I between the two sides, which England lost by nine wickets. In the first ODI against Bangladesh, Rashid took figures of 4-49 to help England to a 21 run victory. In the second match, he made an unbeaten 33 and took another two wickets, but England lost. In the third match of the series, he took 4-43 as England recorded a four wicket victory to win the series 2-1. In the first Test, Rashid scored 26 with the bat before taking 2-58. He took 1-55 in Bangladesh’s second innings as England recorded a 22 run victory. In the second Test, Rashid was wicketless in the first innings but took 4-52 in the second innings. England were unable to chase down their target and lost by 108 runs. In the first Test against India, Rashid took figures of 4-114 in India’s first innings, before taking 3-64 in their second innings. However, England were unable to force a win and the match ended in a draw. Rashid took 2-110 in India’s first innings of the second Test, before making an unbeaten 32 with the bat. He continued to bowl well in India’s second innings, taking 4-82, although India won the game by 246 runs. In the third Test he took figures of 4-118 in India’s first innings, before taking 1-28 as India secured an eight wicket victory. In the fourth Test, he took figures of 4-192 in India’s first innings total of 631, as they won by an innings and 36 runs. In the final match of the series, he made 60 in England’s first innings before taking figures of 1-153 as India posted 759/7 and won the match to win the series 4-0. Rashid played in the first ODI against India and took figures of 0-50 as England lost by three wickets. In the first T20I he did not bat or bowl as England won by seven wickets. In the second match he took 1-24 but England lost by 5 runs as India levelled the series. In the final match of the series he took figures of 0-23 as India made 202/6 and won by 75 runs. Rashid took 1-43 in the first ODI against the West Indies as England won by 45 runs. In the second match he took 2-53 as England secured a 4 wicket victory. Rashid made nine with bat as England made 328 in the final ODI, before taking 1-5 with the ball as England won by 186 runs to win the series 3-0.